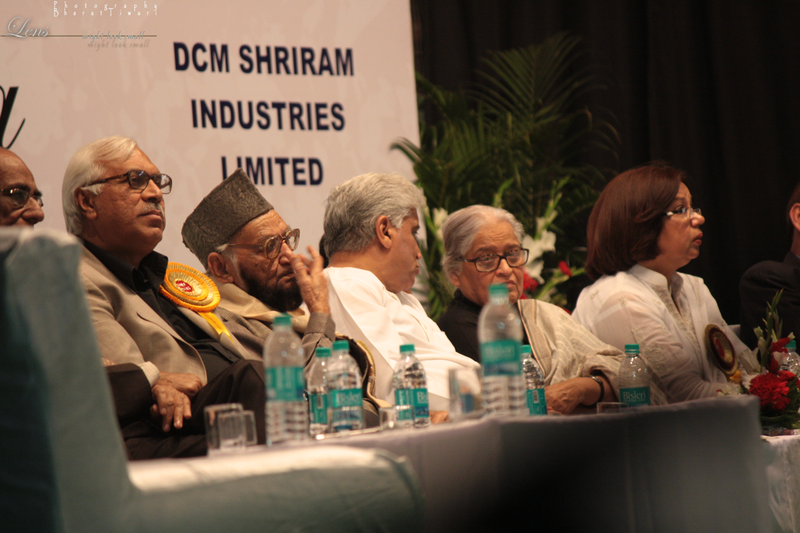 The famous Shankar-Shad (Indo-Pak) Mushaira is inseparable from the cultural life of the capital New Delhi. The most unpredictable relationship that is the trademark of India and Pakistan, which transcends all boundaries and creates an unbelievable bonhomie amongst poets from both sides is the ‘Shankar-Shad Mushaira’, an annual event for poetry lovers, courtesy the DCM Shriram Group. I missed Munnawar Rana Seheb who due to his knee operation was not able to come. Get well soon sir. This entry was posted in Event, Shankar-Shad (Indo-Pak) Mushaira and tagged Anwar Jalalpuri, Bekal Utsahi, Deepti Mishra, entertainment, Forty Eighth, Ghulam Abbas, Iqbal Ashar, Javed Akhtar, Manzar Bhopali, Munnawar Rana, Mushaira, New Delhi, Pakistan, Popular Meeruti, Shaharyaar, Shankar Shad, travel, Waseem Barelvi, Zakia Gazal, Zehra Nigah. Bookmark the permalink.